We thought that when Julie Goodwin won the hit Channel 10 TV show ‘Masterchef’ last year that her future career would see her sticking to plying her trade in the kitchen. We were wrong. 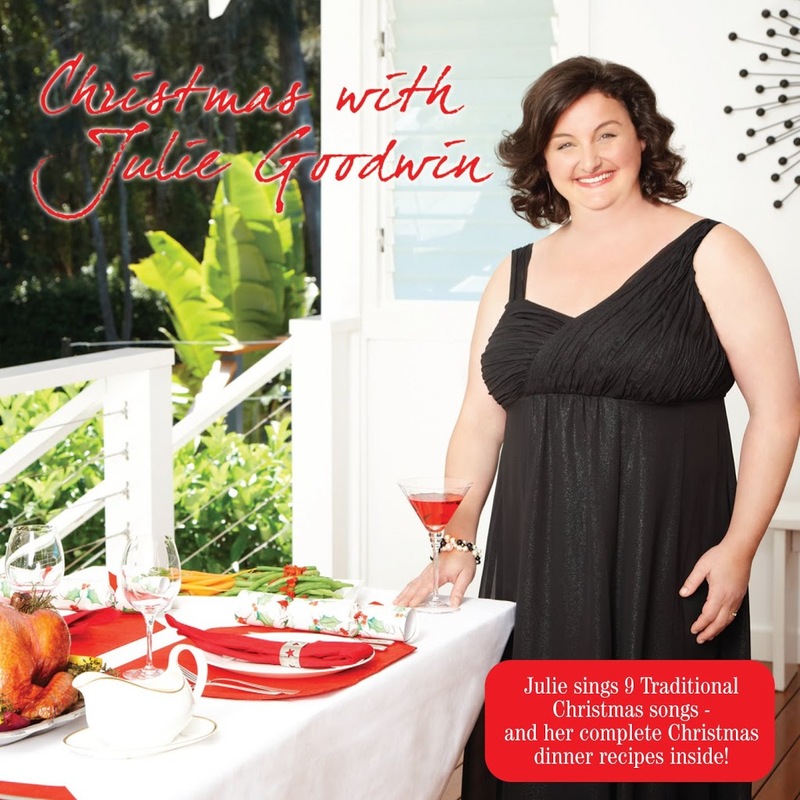 Seems like Julie’s got a secret talent – she’s also a singer – and she’s teamed up with the gang at Universal Music to release this Christmas album which brings together a collection of festive musical favourites with a selection of recipes to spice up your Christmas dinner table. The LP is set for exclusive release through Woolworths supermarkets nationally, with 50% of all Julie’s earning from the sale of the disc going to the St Vincent de Paul Society Christmas appeal. It’s out on Friday December 03. When is it released ! You’d think that record companies would be able to find actual singers to sign without resorting to signing contestants from non-musical reality shows. And if anyone drags out the “it’s for a good cause” argument; it’s only 50% of JULIE’s earnings that are going to be donated – not 50% of the retail price, or 50% of the record company’s earnings. Which probably won’t be very much, since she technically won’t be earning any money from this until the recording costs are recouped from her percentage, and I doubt this will sell enough to actually break even.